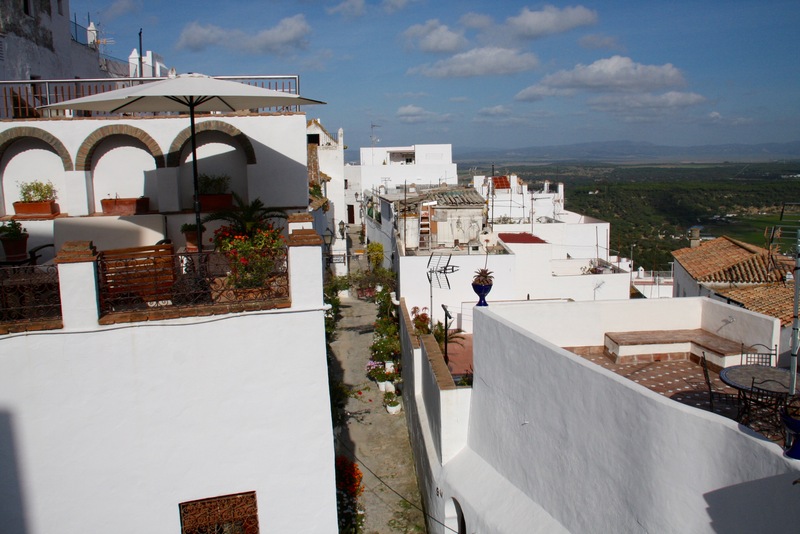 Perched high on a hill and gleaming white under the intense Andalusian sun, you can see Vejer de la Frontera long before you make the journey up the winding road to enter the town proper. 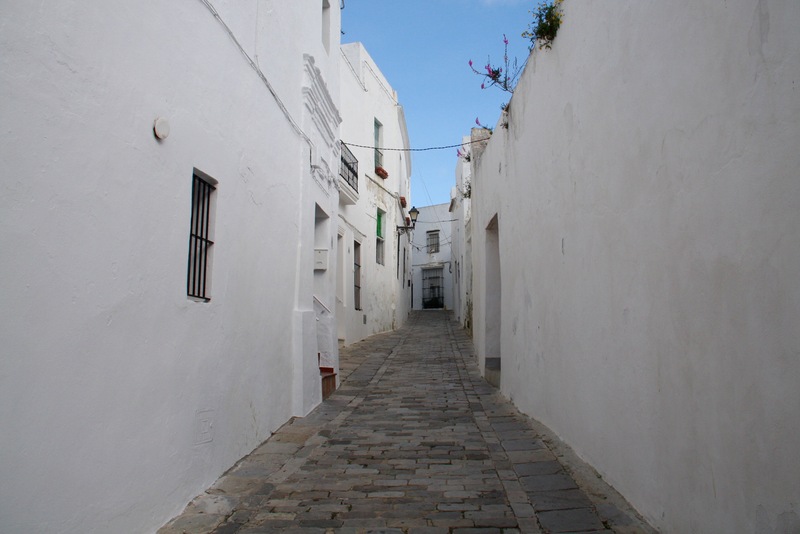 If the town makes an impression from afar, once you’re inside the narrow medina-like streets it becomes overwhelmingly atmospheric … even when you’re dragging your bags through the streets because the nearest available parking space is nowhere near the hotel. 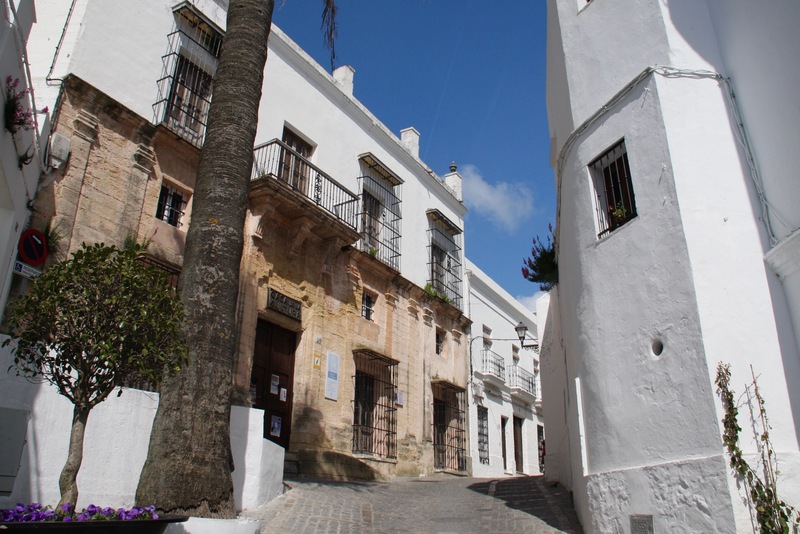 The old part of Vejer is one of the most picturesque places I’ve visited in Andalusia – and it’s up against some stiff opposition. 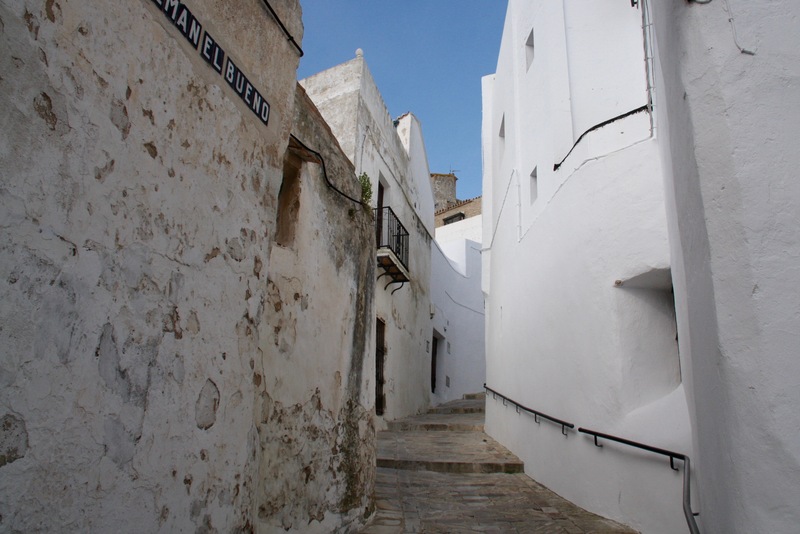 The winding lanes and alleyways, the whitewashed houses, ruined fort and ancient church are the stuff of historic novels, and Vejer has had an extraordinarily long history. 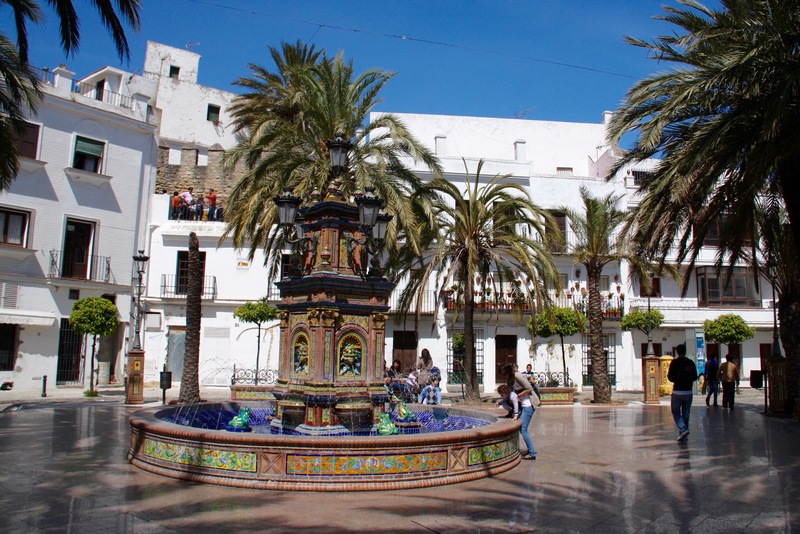 Like nearby Cadiz, it was first a Phoenician town, then came the Carthaginians, followed by the Romans. 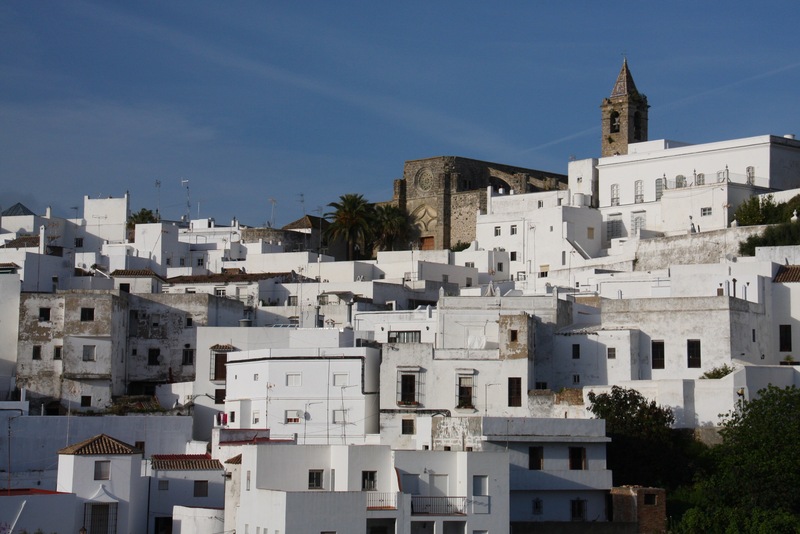 The town was then ruled by the Visigoths until the arrival of the Moors. 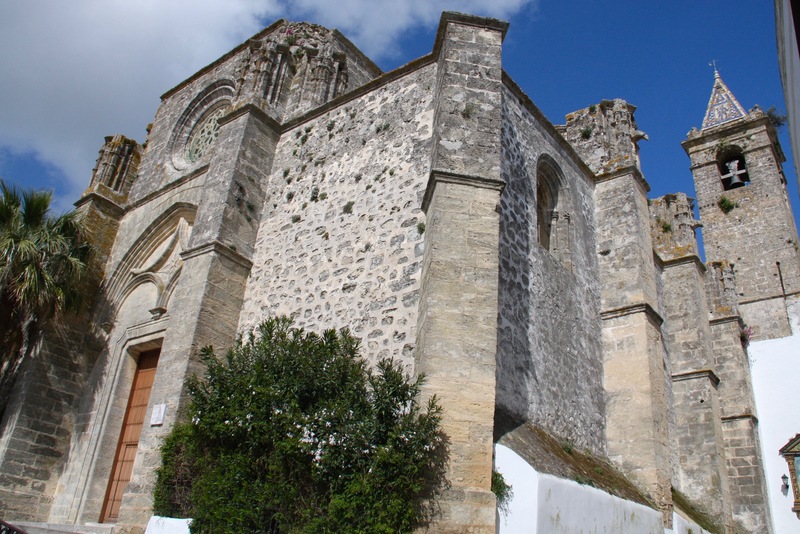 In 712 the Battle of Guadalete took place to the north of Vejer. It was a defining moment in the Moorish conquest of Spain. The ruling Visigoth armies led by King Roderic, were defeated by an Arab and Berber army. Roderic was killed along with many Visigoth nobles, leaving a power vacuum that allowed the Moors to attack and capture the Visigoth capital of Toledo. 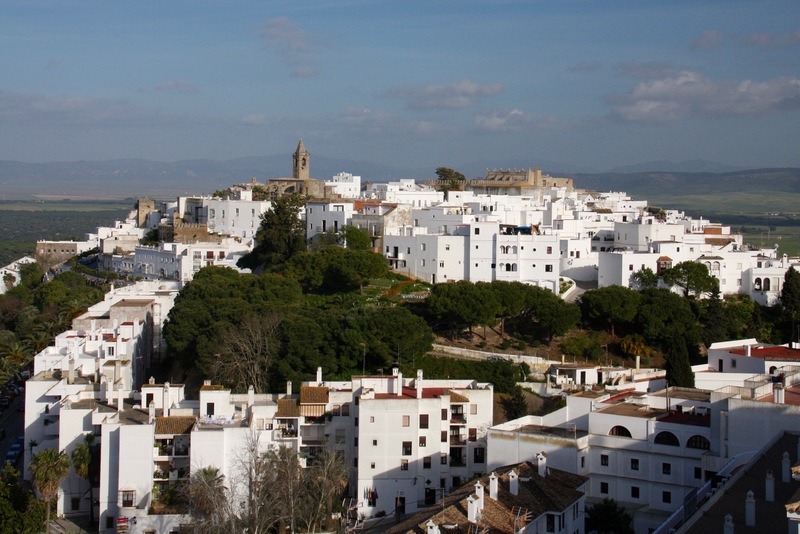 Vejer would be ruled by the Moors for the next 536 years. It wasn’t until 1248 that the city fell to the Christian armies of Ferdinand III of Castile, after which it was a border town and fortress along the frontier with the parts of Spain that remained in Moorish hands. This is when it received the addition of ‘de la Frontera’ to its name. Even after the collapse of Moorish power, the town continued to be attacked by Barbary pirates – it’s close to the coast and was an easy target for Berber corsairs from the coast of North Africa. 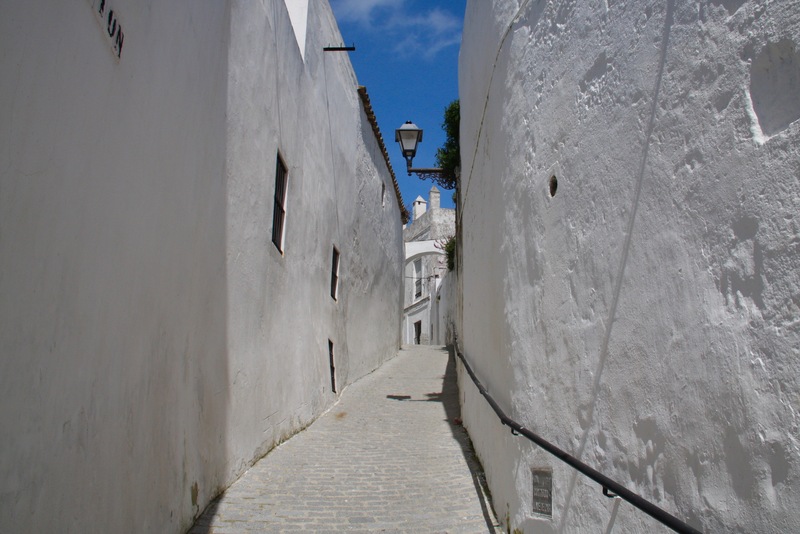 This long history has bequeathed Vejer many ancient traditions, including some not seen anywhere else in Spain. On one street a sculpture of a woman stares down from the wall, dressed in black, head covered, only one eye visible. 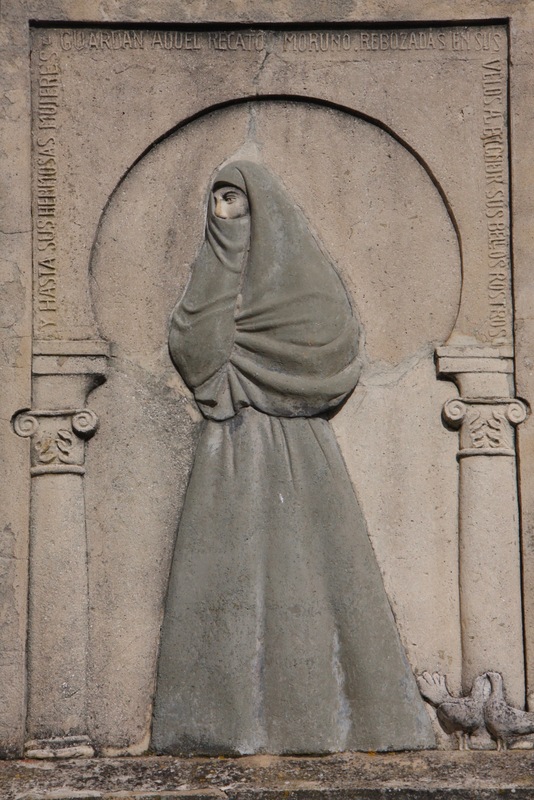 This is a depiction of a cobijado, or ‘cover’, a burkha-like shroud. It may be a remnant of the Moorish past, or an item of clothing that originates in Catholic Spain. The jury is still out on that, but it’s a tradition that has been around for centuries. 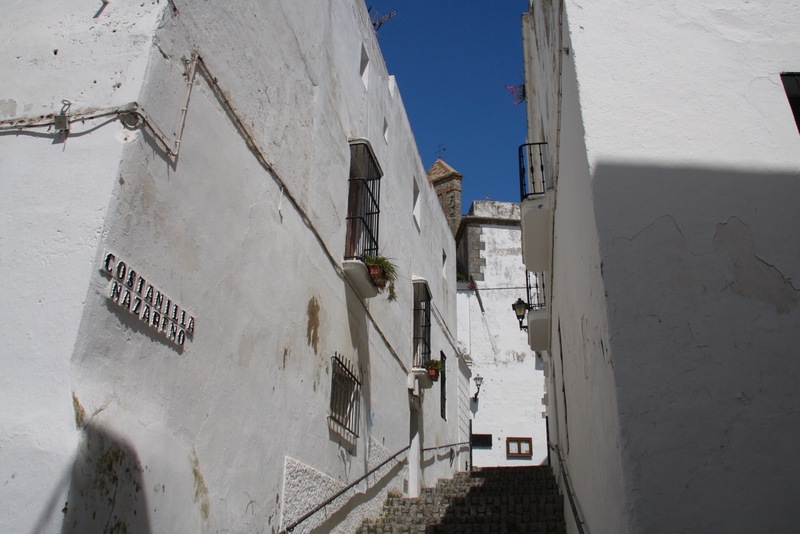 It’s only in recent decades that women in Vejer stopped wearing the cobijado, but there are several reminders of the tradition dotted around the town. The cobijado was used to hide a woman’s features, a little like Spanish fans, and upper class women wore them to stop the sun from darkening their skin – no one wanted to have the skin of someone who worked in the fields. Walking around the town uncovers lots of the hidden charms of this small, friendly place. 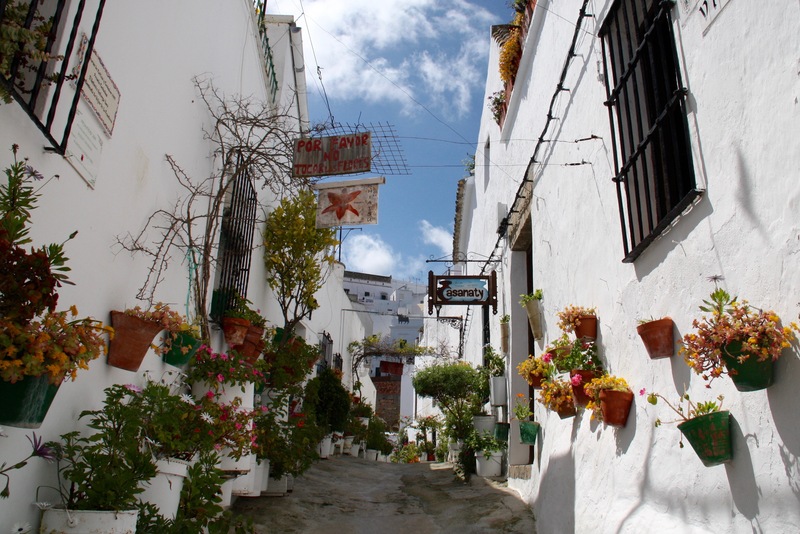 It’s a town to relax and unwind in, with good restaurants and tapas bars, and little else in the way of excitement. 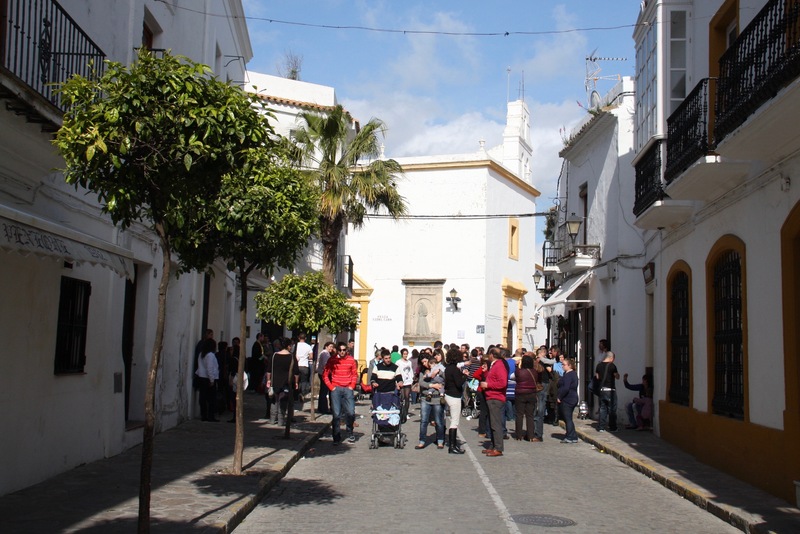 We spent a day slowly exploring the atmospheric (and very quiet) streets, until we found a party that had spilled out onto the street from a local restaurant. The sudden hubbub of noise and activity seemed completely out of place. 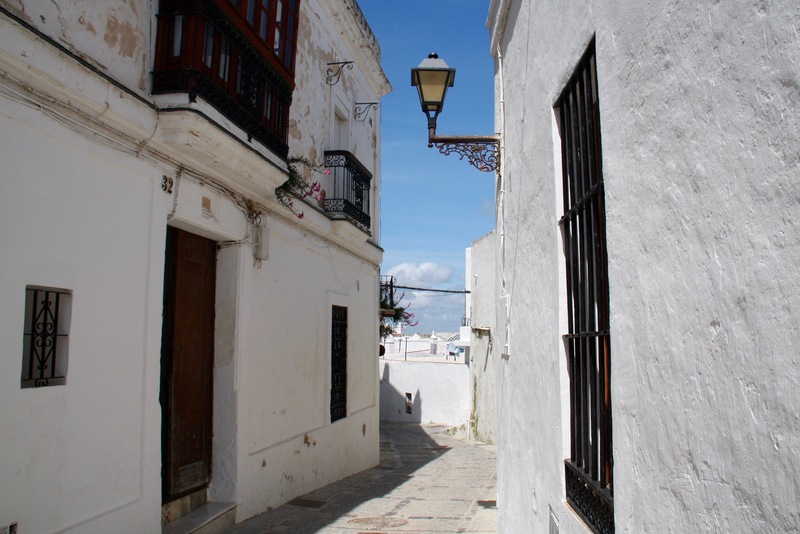 In Vejer we pushed the boat out to spend a night at La Casa Del Califa on the Plaza Espana. It was a good decision, La Casa Del Califa is a piece of history in its own right. Taking it’s cue from the Moorish history of the town, the decor is Arabic opulence, a theme that runs through the hotel and extends to the superb restaurant, where you can swap Spanish cooking for excellent North African cuisine. 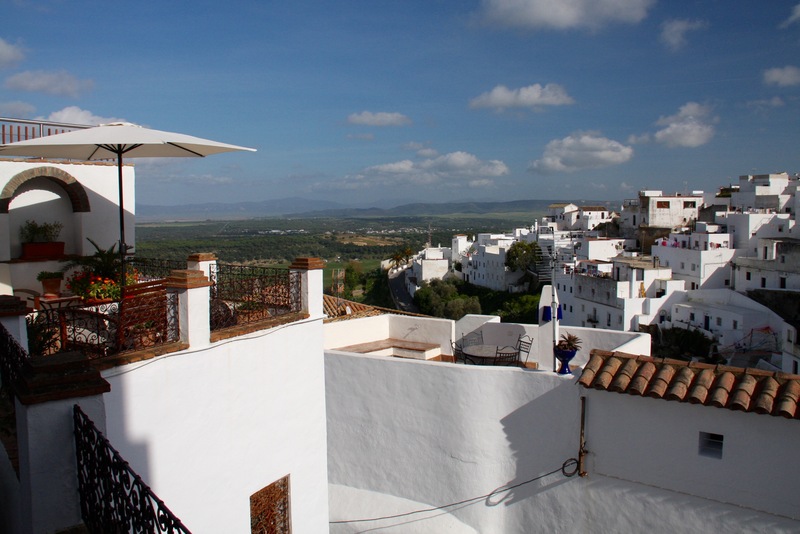 Best of all, the rooftop terraces offer fantastic views over the town and countryside.